Oh dear, where has the time gone? Winter Regional Championships are just a few days a way now, and there is one question that I am sure is on everyone’s mind – What’s the play? In this article, I want to look at what I consider to be the top 5 plays for Regional Championships. This format is definitely a bit harder to gauge on what the optimal play is, which wasn’t so much the case for the Fall Regional Championships. In the Fall, I think most players settled on Hydreigon, Darkrai/Terrakion, and Rayquaza/Eelektrik as being the top decks in the format, and that largely proved to be true by the end of it. This one is a little different, as all of the top decks have the potential to beat each other, and we have been left with a horrible Rock-Paper-Scissors-Cockroach-Nuke format, that makes it really difficult to choose a deck for this set of tournaments. In my testing, this deck doesn’t keep up well with Blastoise/Keldeo EX in the format. 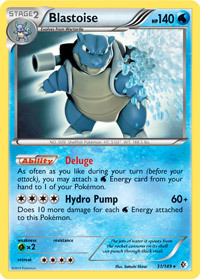 It isn’t too difficult for Blastoise decks to get setup fast, and begin piling damage onto the field, and then take out the Hydreigon whenever it comes up. In general, I have found that the sacrifice in speed that this deck gives in exchange for tanking its Pokemon is its downfall in that matchup compared to other Darkrai variants. 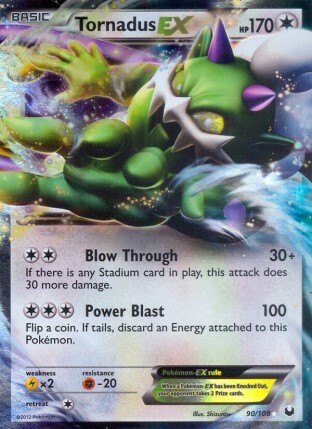 Still, the deck needs to be taking seriously as if you are unable to knock out any of their Pokemon in a one shot, they can continuously tank their attackers while putting a lot of damage on your field with Night Spear. The deck is too inconsistent for my liking, but I could see the deck doing well in the right meta game and with the right techs. At least in my area, the format has moved largely away from Fighting type Pokemon, which makes Darkrai EX a much safer play than it previously has been. 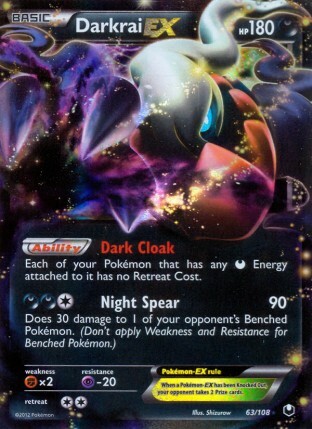 This deck is fast, it’s consistent, and it can counter other Darkrai and Eelektrik decks with its Fighting Pokemon. Outside of the Big Basics Fighting matchup, everything else seems to be 50/50 or better. Blastoise/Keldeo EX can have a lot of trouble dealing with the speed of Darkrai, as well as taking down an Eviolited Darkrai. Gold Potion resetting the damage of a Secret Sword can also be very strong in the matchup for this deck. The deck also can take advantage of special Energy decks like Klinklang by recycling Enhanced Hammer and Crushing Hammer with Junk Hunt, which can give the deck some nice auto wins. I think this is probably the strongest deck in the format, relative to everything else. Once the deck gets setup, it can be a terror to deal with as there isn’t much that can counter it based on type, and it has OHKO potential, while not discarding its Energy. So why is this deck not No. 1 on this list? Because it has the biggest target on its back. I can guarantee that most players when coming up with a deck to play with for Regional Championships have the Blastoise matchup in mind. 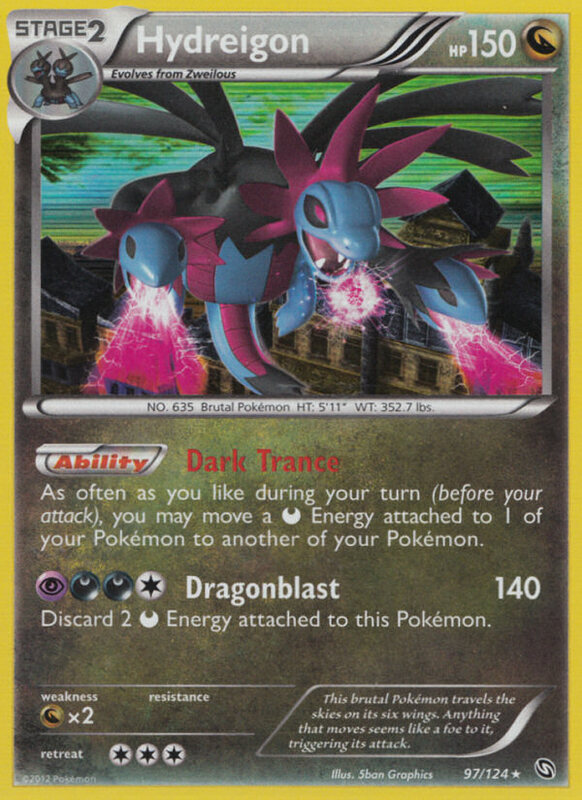 Rayquaza/Eelektrik will be played to counter this, and I wouldn’t be shocked to see an uptick in the number of Garbodor decks played to also counter this deck. Additionally, the deck has one of the stupidest mirror matches in the format, where going first, and more importantly, getting the first Blastoise out will generally win the mirror match. I can’t bring myself to leave my tournament up to running hotter than everyone else playing the same deck. I am sure the deck will do just fine at Regionals, and will probably win one or two of the tournaments, but to come out on top with this deck it is going to take a lot of luck in the mirror match. With Blastoise/Keldeo expected to be played heavily at these tournaments, naturally a deck with a great matchup against it would be one of the strongest choices for the tournament. Being able to OHKO a Keldeo EX with Rayquaza EX is very strong, and it will be much easier for the Eelektrik player to repeatedly get the Energy on their Pokemon for the OHKO than it will be for the Blastoise player to do the same to keep the pace of the game. 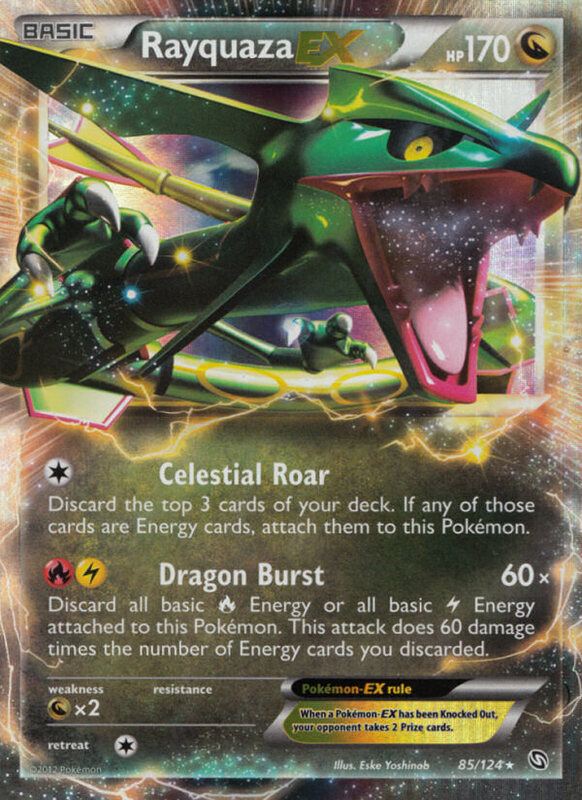 I think there are some concerns with this deck in regards to its Darkrai EX and Landorus EX matchups, but the way the modern Rayquaza/Eelektrik decks are built with Emolga and Energy Switch allow them to stand up to such threats better than they ever did in the past. This isn’t a deck I would play, as I don’t want to screw myself over by getting my Tynamo’s donked, or prizing Eelektrik, which I know have happened plenty for friends in the past when playing Eelektrik decks during big tournaments. I do think the deck is very strong, but these are some major concerns that I am not comfortable risking when choosing a deck. I’d rather be the one doing the donking than the donkee. I think this will generally be the safest play for the tournament. The decks can be built to have a 50/50 matchup against Blastoise/Keldeo EX, a solid matchup against RayEel decks, and fairly positive matchups against any Darkrai EX deck. The greatest strength of these decks are that they require very little setup in a format full of inconsistencies, all while countering on type some of the biggest decks in the format. These decks are aggressive, and in testing for me, almost always get setup on turn one, which can make it very difficult for evolution decks to keep up with the pace of the game. Additionally, outside of Ho-Oh variants, the others variants will not have to have that lurking fear of Garbodor heading into the tournament. To finish up this article, I would like to give some other general thoughts I have in regards to this set of Regional Championships. Here they are. It is going to be brutal to make the top cut at most of these tournaments. Expect 9 rounds, cut to a Top 32, which will mean for the most part, you will have to go 7-2 if you want to make cut, with just a few 6-3’s sneaking into the top cut. The size of these tournaments will likely be large enough to warrant a Top 64, but the top cut cap will limit to only 32. Hopefully they look into changing this for the Spring Regionals, as these are two day tournaments, and one extra round of top cut shouldn’t be much of an issue time wise. I expect to see Garbodor have a stronger presence at Regionals than it has had at the City Championships I have been to so far. Most of the top decks are reliant on Abilities, so Garbodor could be a good counter play. The two variants I would most expect to see are Landorus EX/Mewtwo EX/Garbodor and Darkrai EX/Sableye DEX/Garbodor with hammers. I’ve also heard of a Giratina EX/Shaymin EX/Garbodor deck, but I would think that deck is too slow to really succeed in the current format. I personally wouldn’t play Garbodor for these tournaments, and think it isn’t truly playable until Float Stone comes out to help with its Retreat issue, but I do expect to see it played, so something less reliant on Abilities or something that can fit in plenty of Tool Scrapper are at the top of my list for decks to play. I think Vileplume decks will have some presence in the Top 32 at some of these tournaments. I’ve tested a few Vileplume variants to varying degrees of success, and can say that it can hang with a lot of the decks in the format if built properly. Klinklang will be a very poor play for these tournaments. So much of the meta game is unfavorable to it’s strategy at the current moment. Blastoise/Keldeo EX and Rayquaza/Eelektrik both can OHKO Klinklang’s attackers and knock all of their Energy off the field. Darkrai with Hammers pretty much has an auto win against the deck, and lastly, anything with Garbodor will very easily beat the deck. Andrew, one question for you…are u alive?! ?